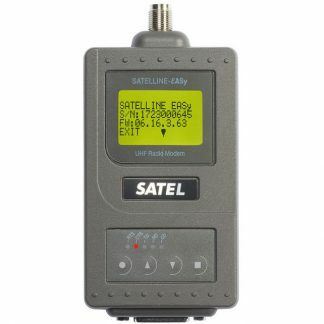 From mountain tops to race cars, the SATELLINE 3AS(d) EPIC maximizes mobile and indirect connections with the powerful combination of a maintenance-free 10 Watt transmitter and two separate SATELLINE receivers packed into a shock and vibration proven housing. Uniquely featuring dual receiver spatial diversity reception, which automatically chooses the best signal from two independent receivers the EPIC virtually eliminates the need for a “line of sight” connection. Direct visual connection between the master station and substations or even moving remote stations is not needed. 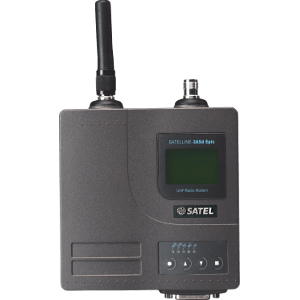 Overcome the problems of mobile and non line of sight connections with SATELLINE. Generally, indirect connections suffer from signal fading as radio signals reflecting off of buildings, terrain and other objects arrive to the receiver “out of phase” cancelling each other and causing the signal to “fade” in and out. (Think of a traditional car radio signal as you drive about town and the signal becomes stronger and weaker.) Technically, these dips of the signal, also called fading, or cross fading; appear at half-wave intervals. In link connections based only on reflections, the reliability of a received signal depends on the position of the receiving antenna in order to receive the best signal (sometimes only inches can make the difference). By utilizing the EPIC’s dual receiver spatial diversity and setting two antennas at least ¾ x wavelength apart from each other, the message can always be received by one of the receivers, if not both- virtually eliminating fading from mobile and indirect radio connections. 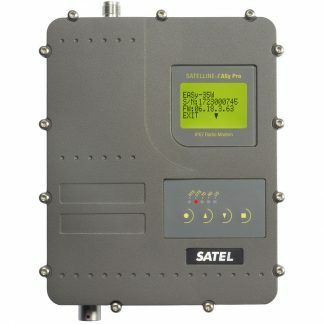 SATEL’s exclusive spatial diversity receiver automatically chooses the best signal from two independent receivers; virtually eliminating the need for a “line of sight” connection. Direct visual connection between the master station and substations or even moving remote stations is not needed. 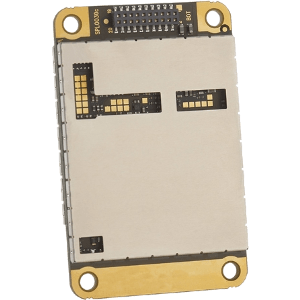 Set apart from similar products by our proprietary board design, and specialized industrial class superheterodyne receiver, SATEL’s exclusive SATELLINE technology enables dependable UHF communication in extreme conditions when similar products fail. Using a finely tuned narrow (2 MHz) receiver range and then physically cancelling out the remaining electromagnetic noise on both sides of the selected channel, connections can be kept alive even if received signals drop as low as -115 dBm! In one-way data transmission networks, FCS automates the use SATELLINE modems. While transmitting, the base station and repeater radios automatically listen for channel disturbances, change to, and transmit on the best available frequency. Synchronized remote receivers scan all available channels for a base station transmission beacon anytime a connection is lost because of interruptions on shared channels, movement of other users in a frequency pool, or to move from one data transmitter to another. FCS software and its user guide are available for free download. There are 5 clearly marked and intuitively colored LEDs that show the current status of the SATELLINE modem. There are indicators for the data modem sending and receiving to the device; radio transmitter and receiver activities; and radio frequency channel status — including if it is in use by an unknown party. Crowning SATELLINE’s advanced technology is the built-in backlit LCD display that provides users with vital diagnostic information about received signal strength, frequency, power supply and data settings at a glance. Durable pushbuttons give instant access to virtually all of the radio settings through easy to read menu selections. 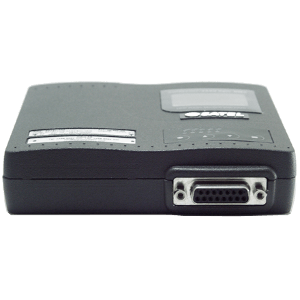 SATELLINE “D” display models allow for setting up, using, configuration changes, and testing to all be done without ever using a laptop, PC or any other device. 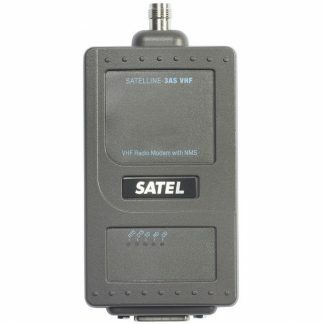 YM3004: SATELLINE-3AS Epic DB. No display, no heatsink, dual band. 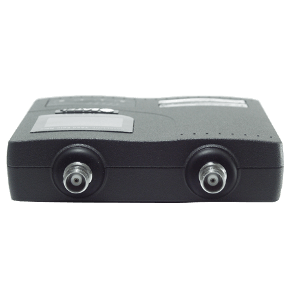 YM3006: SATELLINE-3AS Epic C DB. No display, with heat sink, dual band. 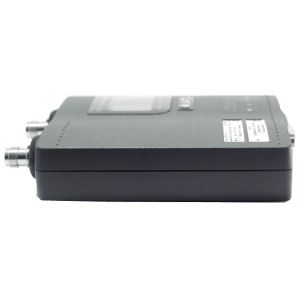 YM3007: SATELLINE-3ASd Epic C DB. With display, with heat sink, dual band.